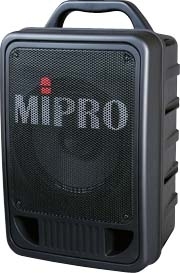 Each MiPro system is custom configured to meet your exact needs. Prices fluctuate based on the manufacturer supply and demand so call for an estimate today! The newly designed MA-705 has a high-efficiency output that delivers a powerful 50 Watts (rms) of high fidelity sound wherever it is needed. 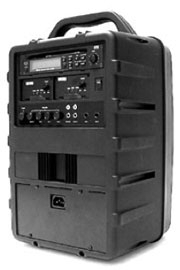 Its advanced design allows amplification from a variety of audio sources such as both wired and wireless microphones, CD players, etc. Its lightweight, sleek design, clear and powerful sound and versatility make the MIPRO MA-705 the best portable PA amplifier for medium-scale gatherings such as schools, places of worship, corporate meeting rooms, seminars and election campaigns.